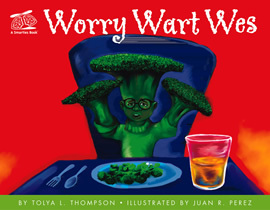 The Smarties Book® series is a health based picture book series designed to educate on common childhood illnesses and to increase the publics ability to read and understand health information. Thus, we are working to increase the nations health literacy rate. 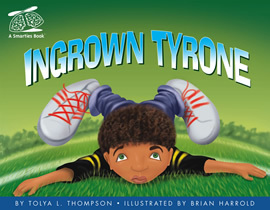 Using rhyming language, bright illustrations and tons of silly fun, we successfully capture our reader’s attention and get them wanting more. 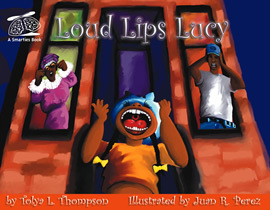 The books on this site are interactive and come to life with a simple click. This hands on experience increases our ability to develop health literacy skills and a love for reading. This is very important when it comes to placing children upon the path of academic success and health and wellness. Every book within the Smarties Book® series is medically reviewed by the some of the very best healthcare providers and researchers in the nation. Our reviewers are affiliated with the Centers For Disease Control and Prevention (CDC), departments of health, WebMd, and major universities. We work with the best to give you the best. Enjoy the Smarties Book™ series and stay fabulous! Asthma Is Not Stopping Me is not simply a story of controlling asthma. This is a story of conquering asthma. 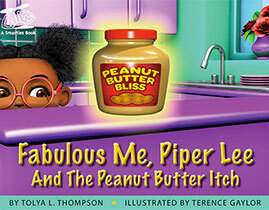 Piper Lee, with her inner voice, MeMe cheering her on, tells a story of triumph as Piper Lee swims, runs, snowboards and so much more. 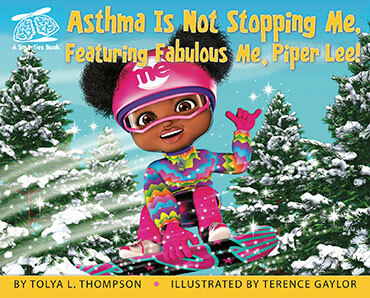 Piper's high energy and interactive message of never letting asthma stop you goes out to all children. Live life to its fullest and Stay Fabulous! Discover how to conquer food allergies! Discover the beauty of listening! Discover the ugly effects of stress! Discover the flu through the eyes of a princess! Discover the importance of loving yourself!